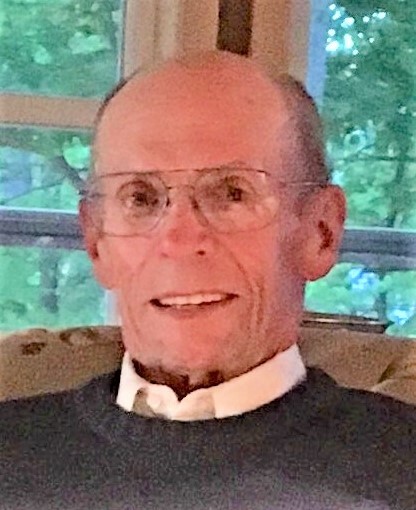 Lane O’Neil Moen of Stewartville, MN, died January 30, 2019, under the care of his family and Seasons Hospice after a courageous journey with cancer. He was born in Sisseton, SD, to Alvin and Hazelle (Strege) Moen on May 29, 1942. The family lived in New Effington, SD, where Lane attended elementary and high school, graduating in 1960. Following his graduation from General Beadle State Teachers college (now Dakota State College), he began his career as a social science teacher and coach in Maynard, MN. Lane married Karen Janssen in 1974 and was a devoted husband for 44 years. They were blessed with three children. They resided in Ankeny, IA, Arnold’s Park, IA, and moved to Stewartville in 1983 where they made their home for many years. Lane worked in the insurance industry as a claims adjustor, an agent and later opened the Moen Insurance agency. Karen was a longtime para and childcare coordinator with Tiger Time for the Stewartville School District. Lane was a voracious reader, an avid golfer, a skilled woodworker and an astute card player, especially bridge. He had a passion for farming and loved his land in the Dakotas. He enjoyed following the school activities of his children and four grandchildren. He demonstrated a life of service in the US Marine Corps, the American Legion and as a teacher, council member and youth leader at Zion Lutheran Church in Stewartville. Lane is survived by his wife Karen, children, Tara (Allen) Koosmann of Waconia, MN, Megan (Beau) Tordsen, Stewartville, MN and Lance (Terry Medler), Portland, OR; grandsons Jack, Cooper and Will Koosmann and Isaac Tordsen. He is also survived by his sister Ryn (Bruce) Pitts, Fargo ND, step-brother David (Darcy) Lekness, Rapid City, SD and special cousin Maurice (Lucille) Kutter, Lidgerwood, ND. He was preceded in death by his parents, step-father Warner D. Lekness and his grandparents. A memorial service will be held at Zion Lutheran Church, 400 5th Avenue NE, Stewartville, at 11 AM, Tuesday, February 5, with Pastors Byron Meline and Kim Kyllo officiating. Burial with military graveside honors by the Stewartville American Legion Post 164 will follow at Woodlawn Cemetery in Stewartville. Visitation for family and friends will be on Monday, February 4, 4:30-7 PM, also at Zion church and I hr. prior to the service on Tuesday morning.